The Cape Town Decorex in 2016 is a Cape Town exhibition which everybody interested in leading-edge home design and the newest décor styles should pay a visit. Decorex Cape Town brings together the most exquisite collection of design icons and rising stars. The multi-award winning show is now in its 18th year and gives the latest directions in design and décor, the high-end, the handmade and pure inspiration. Not only Cape Town’s architects and interior design professionals flock to this annual trade highlight on the first day of the home design exhibition which sheds light on the shape of the built future. All the other days regular visitors can enjoy the trend-setting exhibition which also offers an abundance of unique accent pieces – from modern collectibles and signature pieces to the kitchen sink. 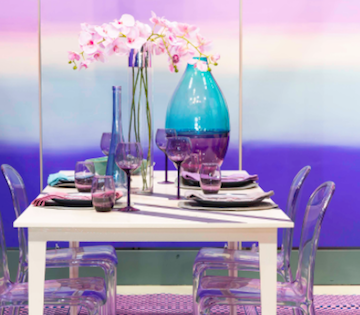 What are the Cape Town Decorex 2016 exhibition highlights? Spot inspiring ways to add impact, value and style to your space with this forward-looking collection of high end exhibitors – from established design icons to new names, fabric houses to retailers, captivating roomscapes and new reveals. The focus for the 2016 Decorex is on indigenous interior design and 'African Style'. Designer Spotlight: Well known Cape Town stylist and interior designer, Adriaan Lochner will depict the show theme, in collaboration with fabric design house Home Fabrics. Decor and DIY Theatre: The theatre will feature in 2016 highly visual presentations, talks and interactive advice-sharing on various lifestyle topics. Considered Home, the new 2016 feature by Goodwood Co. which will highlight the now trending looks. African inspired Trend pods showcase the respective designers and their interpretations. ...and various competitions and so much more! Bubbly Bar and the Build Bar will entice visitors to meet up with fellow trend-spotters. Relax and taste some tapas or sushi or sit back and enjoy a boerie roll or burger. When is the Cape Town Decorex Exhibition? Opening Times: April 29 - May 2, 2016 from 10h00 until 19h00, Monday until 18h00.